With an extensive background in complete landscape services, we are able to take your entire property into account when establishing a plan to maximize the health and safety of your plants, trees, and home or business! We avoid using heavy equipment at all costs. This helps to minimize the chance of damage to your property. It is typically very difficult to tell when a tree has been removed after the cleanup. This is due to our low impact method of working. At Asheville Arborcare, we are focused on providing tree care with the highest levels of customer satisfaction – we will do everything we can to exceed your expectations. 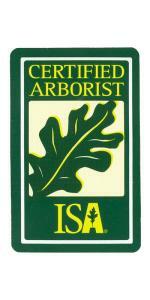 We work in arboriculture because we love trees, we want the occupation, and we want to serve others. With a variety of services to choose from, we are sure you will be happy working with us. Look around our website and if you have any comments or questions, please feel free to contact us. We hope to see you again! Check back later for new updates to our website. We look forward to meeting and working with you. Christian was born in Atlanta, Georgia. He was raised just outside of the city in Tucker with his one older brother, Forrest. Following his mother's interest in Landscape Architecture, he began working in landscape installations for his Boy Scout Leader at the age of 14. At 17, he installed a brick patio and landscaping at the community center in Decatur GA for his service project to earn the Eagle Scout rank. Christian found a job at Lambert's Landscape Services in Suwanee GA after graduating from Brandon Hall in Dunwoody. He worked there as a crew supervisor for 5 years before starting his own landscape service. In 2012 Christian was able to realize the dream of living outside of the Atlanta metropolis by moving to Asheville, NC. Doing this put him closer to his brother, nieces and nephews. Since moving, Christian has focused all his available time and energy in to building Asheville Arborcare from the ground up. Please contact us directly by phone or email for a current Certificate of Insurance.